The vision of Ronna Dykes – “The Hydrangea Lady” – first started to take shape during the fall of 2004 with the clearing of the land. 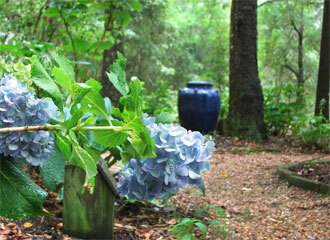 Then came irrigation and, finally, Hydrangeas, in the Spring of 2005! Today, more than 100 varieties of hydrangeas thrive in the garden – with more being added each year.